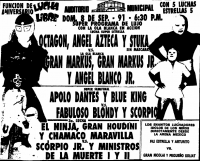 4) Ángel Azteca, Octagón, Stuka vs Ángel Blanco Jr., Gran Markus, Gran Markus Jr.
1) Anibal, Eddy Guerrero, Mil Máscaras b Ángel Blanco Jr., Gran Markus Jr., Medico Asesino Jr.
Super Puck & Flangan are now tag champions! 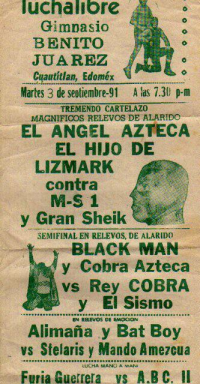 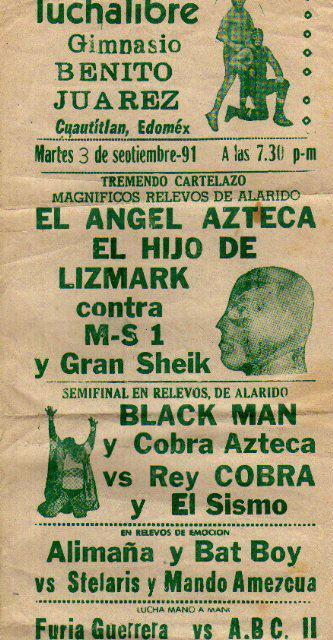 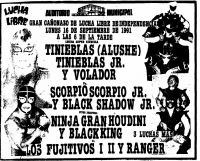 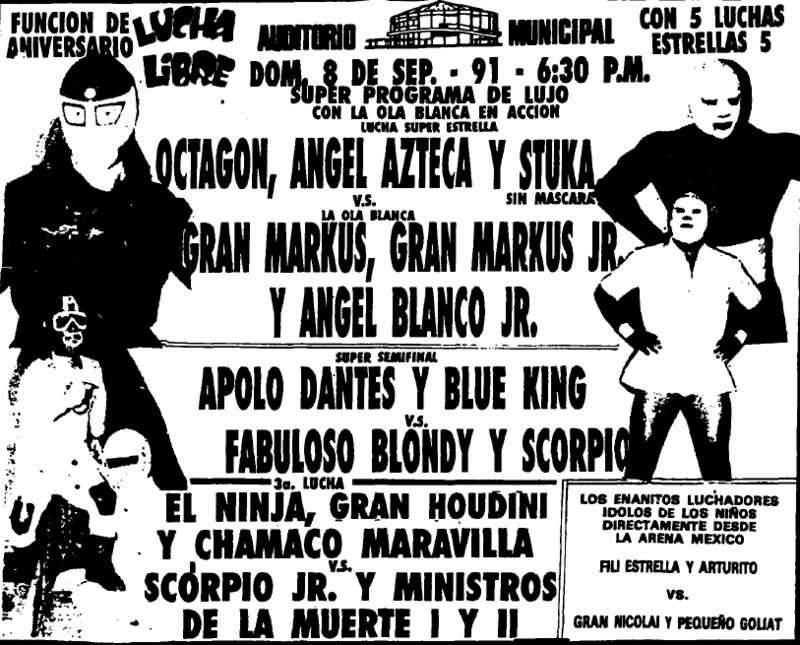 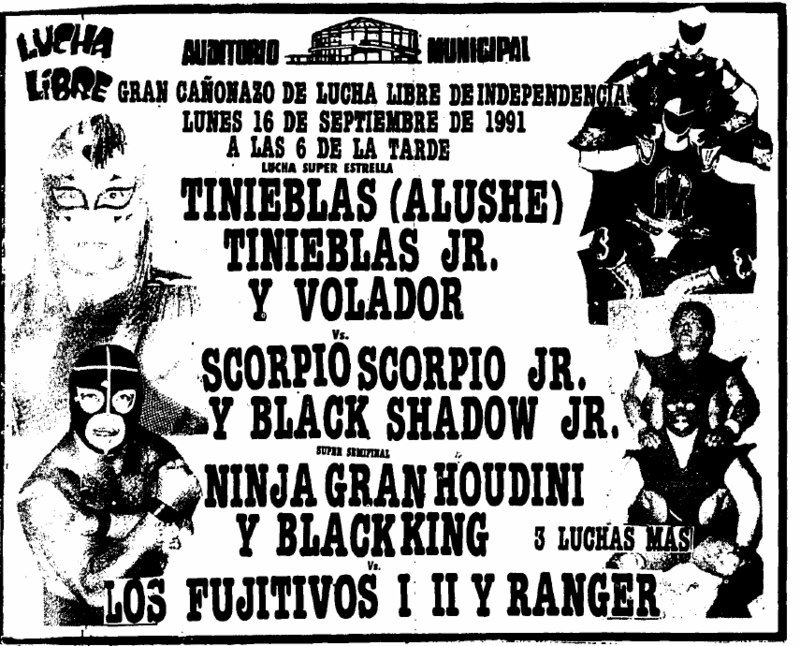 5) Tinieblas Jr., Tinieblas Sr., Volador vs Black Shadow Jr., Scorpió, Scorpió Jr.
locals are in a semimain after a column complained about the lack of locals in key positions on these shows. 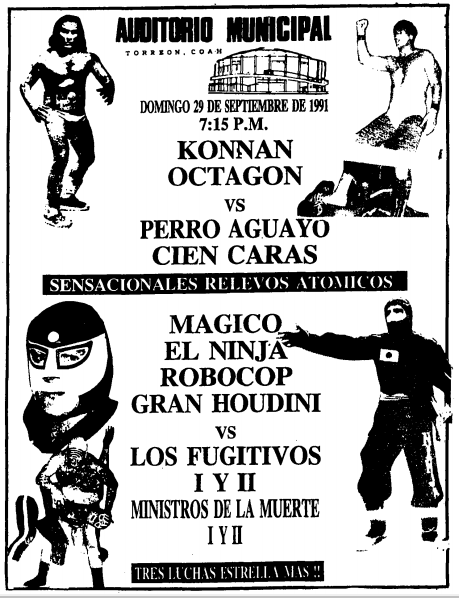 Debut of Magico, billed as a 16 year wrestler form Texas who's the new star of lucha libre.